"There is no position in Echo Canon which can be defended without artillery against the attack of an enemy having possession of it, all other things being equal. Nor is there any position in it which a people armed as the Mormans are could long defed to advantage against our army. But the canon along its entire course presents extraordinary advantages to a bold, active, determined people for the successful prosecution of guerrilla warfare." 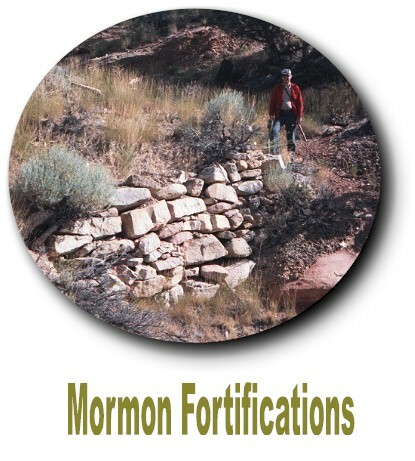 These fortifications were also know as Mormon Breastworks. "Mormon Brestworks and U.S. Troops. Officer U.S.A.: 'Trumpeter! Sound the retreat! We never can carry that Battery in the world. Cesar himself would be defeated before such a Breastworks.'"